High performance cut-off wheel for processing of aluminium and other non ferrous metals. 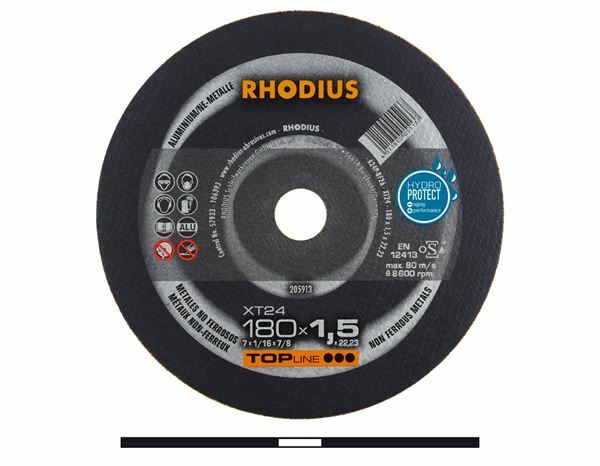 Special filler avoid wearing of the cut-off wheel and guarantee a powerful, accurate cut with a high endurance. Usage: Non ferrous metals (aluminium, copper, zinc, lead, tin), brass, bearing metal, Al-alloying. Øx thickness 180x1,5, bore 22,23, max. working speed 80m/sec.